WordPress security is a serious business. It is meant to exploit lots and lots of vulnerabilities in the WordPress ecosystem. Now if you think that Malware only comes from malicious, shady sites then think again. Most of the hackers keep on uploading malware to smaller, legitimate websites. Although, they do not publish their modus operandi but often target poorly protected websites for any reason, be it spamming, sending phishing mails, run distributed denial of service attack, etc. Other than this, disguised plugins, source code manipulation, malicious redirection, drive-by downloads, backdoors, basically there are numerous ways software hackers can upload their malware. One of the common misconceptions found among us is that hacking is all about defacing a page but hackers don’t want you to know that your website is being hacked. Due to its hidden nature, many times it gets pretty hard to identify a malware, even if you are on a secure hosting platform. Did you know that even the most alert system administrators aren’t able to monitor their site completely? During such crisis, it is always advisable to seek help from a reputable WordPress development company to discover that you have been hacked from an outside source. 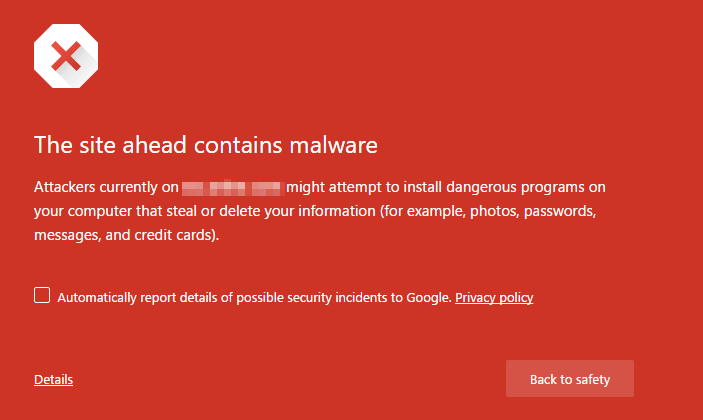 In case, if one of your visitors or you see one of these warnings in chrome, your site is most likely to be hacked and infected with malware. The above image indicates that your site has been used in phishing campaigns. A victim is emailed URL that contains a link to your website. The hacker is using your website to host malware that can easily trick the victim into taking some action that the hacker wants when they visit your site. This warning indicates that your site is hosting malware. An experienced WordPress developer can reveal how the hacker has gained access to your site and installed malware. He may also inform how it is infecting machines belonging to the site visitors. There are chances when your hosting provider receives reports from site visitors that your site has been hacked. Their automated security tools may either have already alerted them or they may have received alerts from the automated system outside their company. In such cases, the hosting provider usually takes your site offline. In fact, it may quite interest you to know that some hosting companies may have a policy of immediately formatting a server or hosting account especially the one which is infected. In order to prevent the infection spreading to other customers even after the site is offline. Thus, it is always important to have backups on the website. In case, if you or one of your site visitors notice the following in search results, then our site is more likely to be hacked. Many times Google simply removes hacked sites from search results but in some cases, the site may be listed but soon will be flagged with a message saying “This site may be hacked” or “This site may harm your computer”. There is perhaps no more catastrophic event in a site owner’s online presence than when they lose the battle to guard their site. This is why the company spends a lot of time each year traveling the world to educate website owners and bring awareness to the problem. 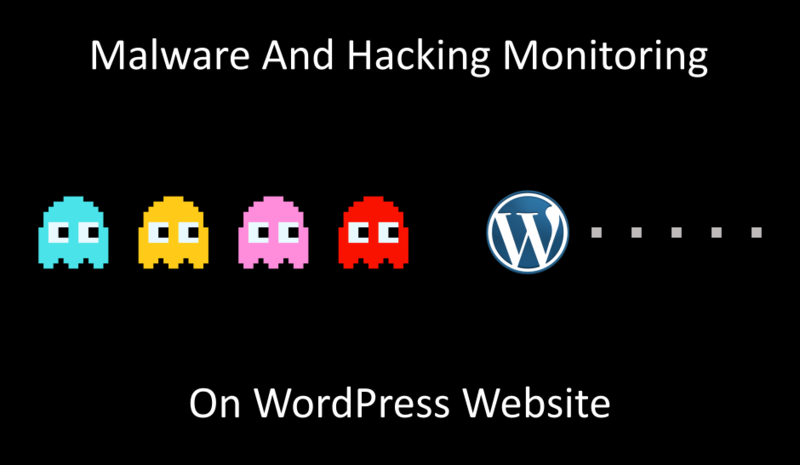 Most of the WordPress development companies recommend using the Malware monitoring as it allows the user to create scanning schedules, provides two distinct detection methods like remote scans and server-side scans. For example, if such an event is triggered, you will be notified on the immediate basis. Malware monitoring by far is the most effective feature available in the Sucuri antivirus. In addition to this, the antivirus also provides website owners with scans that monitor both the state of their DNS and WHOIS. These are some of the very important security scans that may forget to configure or monitor. Lastly, the user is provided with a weekly report that shows you the overall security state of your website. Developed by Sucuri, the free plugin is meant to improve security posture and help address the challenges behind all the activity going on the WordPress website.